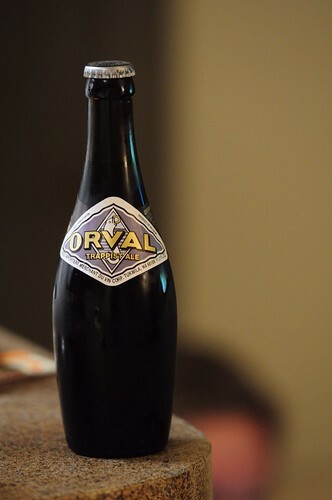 Orval Trappist Ale, originally uploaded by adambarhan. S: The nose is yeasty and a little funky with some tart apple notes. T: Slight tartness, along with yeast and that subtle barnyard/wet hay funk. This is not necessarily bitter or sweet/malty in any way that I can tell. M: The body is on the lighter side, with a high level of carbonation and a dry finish..